From the time Emma was a baby and her first Christmas where she wasn’t even 6 months old, we found LeapFrog among the better educational toys available for youngsters on the market with our first purchase being the Purple LeapFrog My Pal Violet. She loved Violet so much and would giggle hearing her name and favorite things spoken by Violet to her. We also have had many other LeapFrog Toys over the last 5 years with both girls, including a second Violet for Lily, two LeapReader Juniors, two regular LeapReaders, 2 LeapPads (Emma had the original and Lily with the LeapPad 2) and many more, too. We just love LeapFrog and all their toys. The company is almost 20 years old. Have helped millions of children achieve their potential with award winning toy solutions. Are the makers of sought after kid’s toys, such as LeapPad and now the new LeapBand, too. So what does this have to do with me, you might be asking? 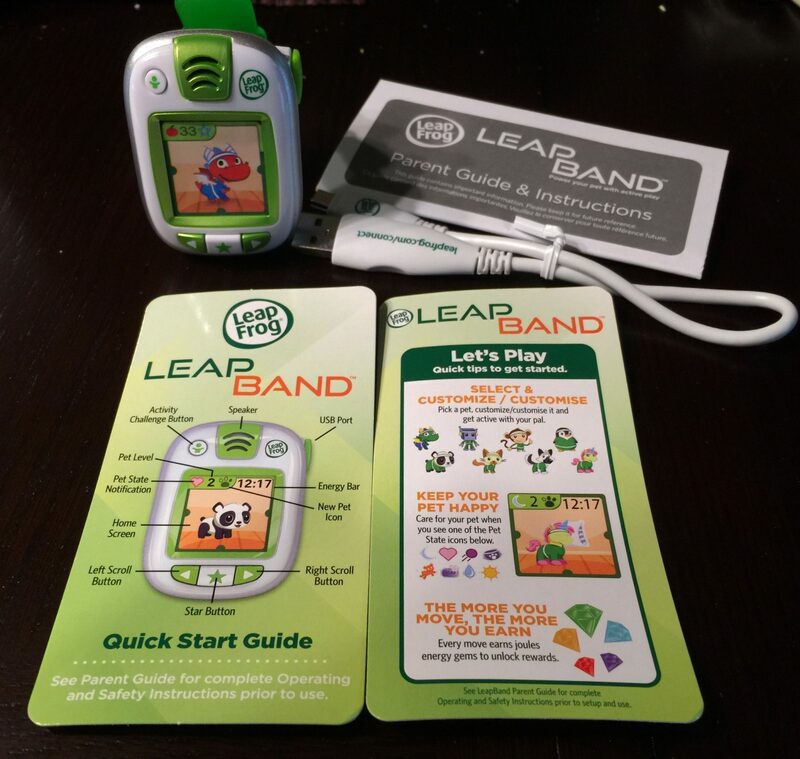 Well recently, as I am an affiliate marketer for LeapFrog, they asked if I would like to review the LeapFrog LeapBand. So, yes I jumped at this opportunity, because my girls had been asking if Santa in the upcoming months. Ironically, I received it last Thursday on the first of two consecutive days off for the girls from school for the closing for the Jewish holiday that the local public schools observe. Also, turns out that we had also an all-day rainy day Thursday, too. 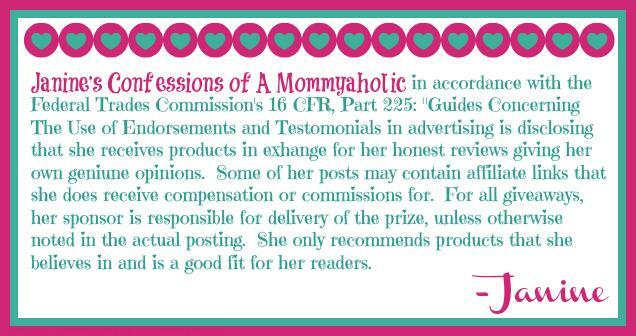 So perfect timing and the girls helped me review the LeapFrog LeapBand happily! Trust me we were not disappointed, but I only got one so you could imagine two little girls 5 and almost 4 years old attempting to share. As much as I hear over and over from these two how ‘Sharing is caring’ apparently not so when it comes to a fancy sought after toy! But I digress and am sure you would love to know all about the LeapBand, as this is indeed a review of this hot sought after toy for the upcoming holiday season. My Girls Were So Excited When the LeapBand Showed Up to Review! What is the LeapFrog LeapBand? 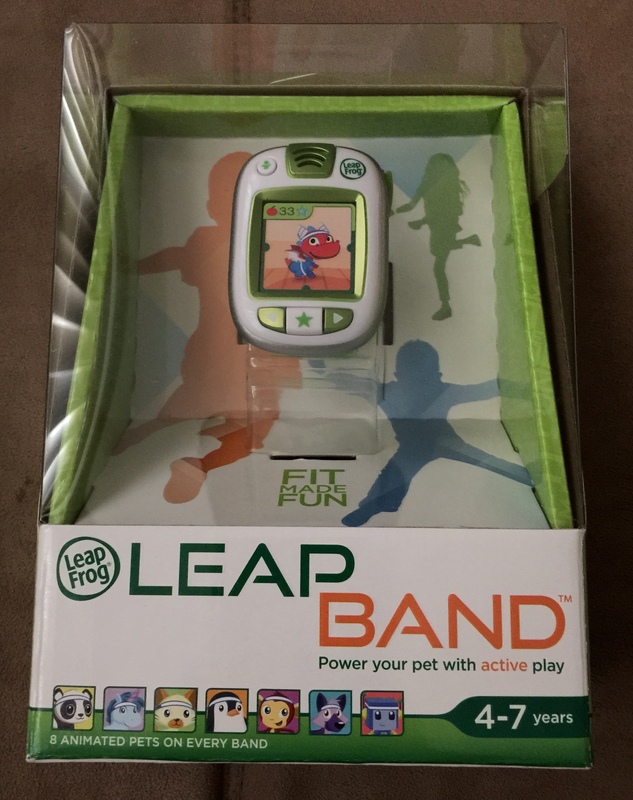 The LeapFrog LeapBand is an activity tracker that gets kids moving and having fun with 50 different activities and challenges, tracking a child’s physical moves so the more active a child is, the more points they earn with their virtual pet. As the child earns points through active play, they can unlock additional games, challenges, levels of play and virtual rewards for their on‐screen pet. What are some of the Features of the LeapFrog LeapBand? Showcases how FUN being fit can be! Comes with EIGHT different customizable pets from LeapFrog’s popular Pet Pals franchise – a cat, dog, dragon, monkey, panda, penguin, robot and unicorn – which can be customized by color and name. Can play TEN preloaded activities and challenges with access to 40 additional free challenges. As they earn points, kids can unlock the additional eight pets and earn virtual toys for them with mini‐games including Pet Boogie, Pet Chef and Pet Salon. Has a variety of activities, including “Walk like a crab,” “Spin like a helicopter” and “Pop like popcorn”. Has parental controls, which include three modes known as: School Time, Night Time and Quiet Time modes. School and Night Time can be set via LeapFrog Connect, but Quiet Time Mode can be set directly on the LeapBand to lock game and pet play. All three above modes still allow the LeapBand continues to track a child’s activity points and displays an analog watch. Has a rechargeable battery (that last 3-4 days depending on usage) – so you don’t have to keep buying batteries for this toy (a huge plus in my book) To charge the LeapBand, you can use the included USB cord and insert into a USB port on your personal computer (It is that simple!). Includes a layer on the screen so that if in an extreme case the screen breaks it will not shatter (so a kid toy that is kid friendly and kid-tough). Water Resistant from splash, as well as sweat proof. The devices’ Petathlon app works on LeapFrog Wi-Fi tablets, or even select iOS and Android devices. Still not convinced on the LeapFrog LeapBand for Your Kids?? Don’t believe me on how fantastic this toy is? Then, let Emma show you in the YouTube Video below. But before, you watch the video, what did my girls loved most about this toy? They just couldn’t stop raving about the fact that they could pick out their own animal to customize to their liking. Now here, you will see Emma show us how their animal (unicorn), Lucky Sparkles dressed in pink (Lily’s favorite color) and yellow (Emma’s Favorite color) get a bath. By the way, the girls displayed excellent sharing by compromising on the color of Lucky’s outfit. LeapBand is an engaging and enriching way to get kids more active in a playful setting. I was already sold to be honest, but after seeing my kids playing with the LeapFrog LeapBand and how much they did enjoy it, I will most likely be buying another one from Santa to them, so they each have their own now. Let Me know what you think about the LeapFrog LeapBand? Will you be buying the LeapFrog LeapBand for your kids? « Friday On My Mind AAF Style!! Thanks for this! My nephew turns 4 in two months and this sounds perfect for him. I love Leap Frog toys too, and have since Tom was born almost 16 years ago. Great brand! Thanks for a great review! I bet my youngest would LOVE this. I might have to get him one for Christmas. As I was reading this I was thinking “Christmas idea”. Makes perfect sense because similar products for adults are really taking off. I love that they are bringing technology to bear in getting kids to enjoy moving. We enjoyed Leap products with my daughter (I think we had the Leap Pad…) They are a great company with quality stuff. I agree that this might be a bit immature for my 7 year old. However, she does love playing little games like that on my iPhone. She needs to be more active and I had seen this on TV and wondered about getting it for her for Xmas. Glad to see this review – definitely gives me more info to think about! This looks like an updated and much more interesting and engaging version of the Tomagotchi! I haven’t tried any LeapFrog toys yet for Eve, but I have heard great things about them. yay, I’m glad you got to try this too! and I’m sure the girls love it as much as my boys do! I have to agree that it’s a great toy for encouraging play. I got it earlier this year for the fit for fun party and luckily got two of them. I’m happy to hear that their sharing skills have improved and they’re doing great. Here’s to a fun Monday. I love the LeapFrog products. We have a LeapPad, Talking Scout, and Talking Violet. I haven’t seen this yet though… how cool! I like that they can choose their own animal… it’s awesome when toys can be customized like that. My girls would love this. I remember the old childhood game, but I’ve never heard of this…looks like fun. I’ll keep it in mind for if we ever have grandchildren. Have a great Monday, Janine. I have always enjoyed Leap Frog toys for my kids! I have always loved Leap Frog and their educational toys. To me, if a young child loves playing electronic games why not get something that they will be learning with. All of my kids played with a very old version of Leap Frog Leap Pad. I am thinking their oldest Leap Frog toy is about 15 years old. I truly encourage everyone to try LeapBand. It would make a great Christmas present. It’s like fitbit for kids! Cute! Toys just keep getting better and better!!! We had the Leap Frog and it was fun when the boys were little. Scarlet loves all their stuff! She has a phone and computer and she wants a stuffed Violet. She talks about them to this day. I totally want all of their products! I didn’t even know there was a Leapfrog Leap band out! This is fabulous, loved the video! I will have to add this to our list. Looks like so much fun. We love the LeapFrog brand too! I’ve always loved leap frog products! Very durable and always educational. I have to check if this is already available in our area. My grandson loves leap frog. He comes one weekend a month and never forgets his leap frog pad. While I am working on the computer he is sitting beside me on his pad. So cute and it is amazing how much learning is going on. He’s one smart little fellow. The band looks interesting, I will be checking this out more closely around Christmas. My boys had leapfrog toys when they were younger and always loved them. It’s interesting to see how these toys are updated over the years – the Leap Band looks great! These are so cute. It reminds me of the gigapets we used to have back in the day. 🙂 But this is better since it gets the kids to be active, too. This looks like a lot of fun. I bet Mai would adore this. She has two violets & she loves them both. Leap Frog is great.